LP’s latest windows promote their Golf and Ath Work range of merchandise which showcases all elements of Golf as a game and uses backlit and reflective glasses respectively. Men’s formal wear brand Louis Philippe has recently launched two windows based on the theme of two of their latest range - Golf and Ath Work. The Golf Window concept inspiration came from country club, which is designed to bring out the Golf Luxury in the House of Louis Philippe. The window combines all the elements of inspiration such as the Golf Sticks, Gold Balls, Golf Caddy, Trophies and Golf inspired backdrop. The mannequin styling is done keeping in mind the sophisticated Louis Philippe man. 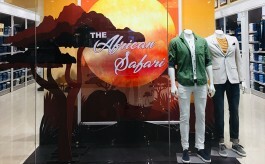 On the other hand, the Ath Work window concept was monochromatic, clean, cool with minimal elements yet sophisticated. 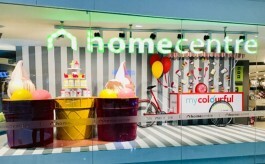 The window uses backlit and reflective component which is very modern and clean with a direct message of the merchandise line. Mannequin styling is done keeping in mind that it looks work friendly without compromising the fresh feel blurring the line between formal wear and socializing attire.